Here at IKRUSH one of our favourite styles of women’s shoes for this season is the espadrilles. This style of casual flat shoe is great for slipping on this season and looking on trend and stylish no matter what. 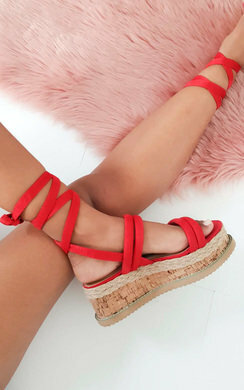 We have so many cute and fun styles of espadrilles for you to choose from. Beaded embellishment, studded detailing, lace up fastening - in a range of different colours, we don’t know how you will choose your perfect pair! Sometimes we find it hard to choose the right footwear to pair with an outfit , it may be too cold for sandals, or too warm for boots? 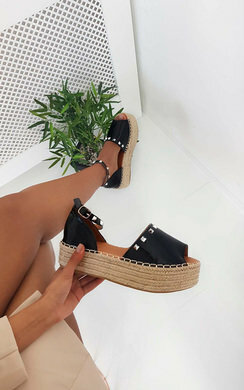 Espadrilles are the perfect pair of shoes for the transitional seasons where your wardrobe is a bit confused on what season we are currently trying to be in. They are great as they are extremely light and often come in neutral or pastel shades so tend to go with everything which is a massive plus in our eyes! Lace up fastenings to studded buckle ankle straps, they also come in a variety of different looks which helps you narrow your pick down to suit what style is best for the look you are trying to portray. So make sure and head over to our clothing section next to pick out some great pieces to add to your collection this season! Treat yourself girl, you deserve it!